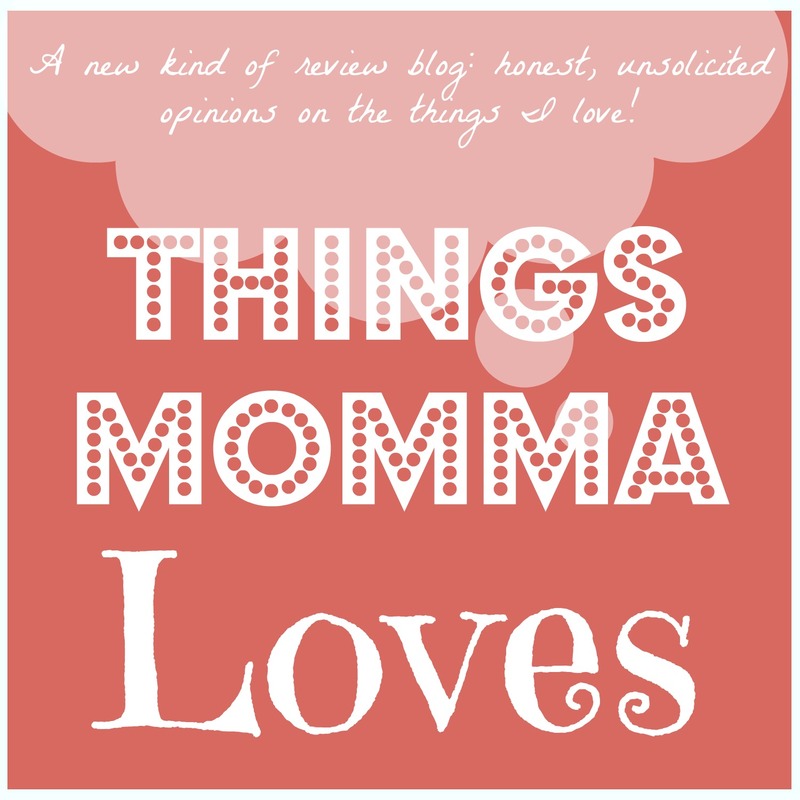 I’m linking up with Leigh Kramer a bit late (but better late than never, right?) to share the things I’ve been into for the past month. Right now I’m reading Life After Life by Kate Atkinson. My book club is discussing it next week (ack!) and the odds of me finishing on time are a bit iffy but I’m going to try. This book is intense and complicated and fantastic and occasionally awful, but not in a literary way so much as a “how many times are we going to torture, kill and humiliate this person?” kind of way. Imagine if you could go back and relive your life over and over again – what things would you change and do differently? This is sort of the premise of the book and in the beginning the main character seems to just keep on dying every ten minutes in awful ways that made my mother heart hurt. But gradually she lives longer and longer and it oscillates between feeling like a story about all the ways you can die / be hurt / suffer and feeling like a story about all the ways we can survive / overcome / be better. It’s hopeful and despondent all at the same time. So it’s fascinating and I’m enjoying it as much as you can enjoy that kind of book, but I’m taking for freaking ever to finish it. Anyone else still going a little bit spastic inside over the Doctor Who 50th anniversary episode? My husband and I watched it that night and kept squealing like fan girls and theorizing little bits and pieces to death (Emergency Awesome has some fun easter egg /hidden references from the episode) . The next afternoon we watched it with the kids (we always give the new episodes a trial run before letting the kids watch, just to be on the safe side) and squealed all over again. I’m both anxiously looking forward to the Christmas special and apprehensively dreading the end of the 11th’s tenure. I hope Peter Capaldi is amazing, I’m sure I’ll get used to him eventually as I did the others. Can you believe the contestants that have been eliminated on X-Factor so far these past couple weeks? The results have been surreal to me and I’m not sure if it’s because I am just not the same target audience as the people that are voting or what, but I mourned the loss of another Top Fave last week. ::sniff:: I doubt that my vote would have made much of a difference but I do sometimes wish that people who DVR and watch the show later were given a chance to vote. Do you think the results would have been different if everyone who watches could vote and not just the people who watch it live? We took the kids to see Frozen the day after Thanksgiving (otherwise known as stab each other for video games day) and I think the whole family fell in love. I was jonsing for a good “Princess Movie” and this totally hit the spot. BB of course now wants Anna and Elsa everything and I can’t say I’m bothered by this very much. We may have to buy the DVD when it comes out and possibly the sound track because I cannot stop singing, “Do you want to build a snowman?” Such a great movie. My MIL’s famous rum cake and a delicious apple pie (this recipe’s crust was the first pie crust I’ve ever made and I think I’m going to go ahead and officially swear by it) as well as a peanut butter dip which was basically a peanut butter pie (I loosely followed this recipe) minus the crust with a bunch of sliced apples to dip in it (though I confess my favorite thing to dip in it is a spoon!) and a sweet potato casserole (this recipe has become a staple for me, this was my third year using it and I can’t imagine straying from it now). most of a 16 oz container of creamy peanut butter, we’ll say 12-14 oz. (I just used what was left of my barely touched container, you could probably use a full 16 oz container or less if necessary). Beat a pint of heavy whipping cream in your mixer until it’s thickened enough – I don’t think I ever got mine truly “whipped cream”ish but I was starting to get bored so after awhile I moved on to the rest of the recipe. Beat the cream cheese, peanut butter, sugar, butter and vanilla in a large bowl until smooth. Fold in the “whipped cream”. Gently spoon into a large bowl and refrigerate until ready to eat. If you can control yourself. Yield: 8-10 servings. So what have you been into lately? Sometimes I eat breakfast for lunch. Around noon my stomach starts to wake up and thinks about all of the adventurous breakfast dishes I could have made when I was too busy saying “Ermagurd, I’m tireddddddd… Where’s my coffeeeeee??? ?” and end up drinking a smoothie and calling it a day. So it’s kind of like a do over breakfast in the afternoon. Some people probably call this brunch. I call it awesome. I had a craving this afternoon for one of my favorite egg dishes – do you remember the crazy scrambled eggs with ricotta, parmesan and creamed corn recipe that I shared with you last year? I’m still making this recipe regularly, using egg beaters or egg whites instead of eggs because I’m too lazy to deal with cracking eggs or whisking them it’s healthier. But I was dismayed to find that my ricotta cheese had gone bad (gross) and had to scramble (pun intended) to find a substitute. I didn’t have anything similarly creamy on hand, but I did have a package of Sartori Montamore cheese – it’s kind of like a sharp feta cheese that reminds me of a good parmesan or sharp cheddar in flavor but crumbles like feta. It boasts a creamy, fruity finish on the label and I’ve been just eating it straight out of the package as a midnight snack up until now but keep meaning to use it while cooking. So perfect, right? I crumbled a good heaping of the montamore into my egg and corn mixture in lieu of ricotta and hoped for the best. The eggs weren’t lacking in any way by the absence of the ricotta’s creaminess and the montamore gives the dish a nice sharpness. And I know it probably sounds really weird to put creamed corn in scrambled eggs, but trust me, it’s delicious. It really gives the dish a great texture and you are sneaking in a vegetable that isn’t overpowering or overly healthy tasting. The parmesan cheese gives the whole thing a slight grittiness that I’ve found I miss whenever I skip it, so I never skip it. I repeat: Don’t skip the parmesan. Heat your pan, add some butter or spray or I Can’t Believe It’s Not Butter. Or don’t. Whatever. Add the eggs or beaters and then the canned creamed corn. Stir it around a bit until the eggs are starting to cook through, then stir in the montamore cheese and lastly the parmesan. Serve with toast or whatever your egg pairing preference is. I like to play with this recipe a lot, grating in whatever fun cheese we have on hand, and it always seems to come out great. Even better, you don’t need to be strict in your measurements and it doesn’t require a lot of effort. The instructions I’ve given are just the steps I take to put this together but it’s a very forgiving recipe so if you want to add in the cheeses earlier, I don’t think it will matter. Lazy breakfast for the win! I am kind of terrible at eating breakfast. The complete opposite of a morning person, when it comes to the most important meal of the day – I want it fast and easy. My waist line would also like it to be healthy and filling. I do a lot of protein / veggie smoothies lately because I can just uncap, drink and go but sometimes you want something a little more on the fun and indulgent side! A friend shared this recipe from pillsbury.com for pineapple carrot muffins made with raisins and walnuts and using half all purpose flour and half wheat flour. Scanning the ingredients list, I was pleased to see it used ingredients I mostly already had on hand. While grocery shopping this morning I added some chopped walnuts and a can of crushed pineapple to my cart and I was good to go! Making the muffins was a breeze. I had a bag of carrots from our local CSA that I ran through a food processor to shred – making way more than I needed so I might have to make the recipe again soon! The recipe calls for 1 cup of shredded carrots. This is probably the most labor intensive part of the process and you could totally cheat and buy pre-shredded carrots but it only took me a couple minutes to shred mine and I could feel good about using straight from the farm produce! When my son came home from school I gave one to each of the kids to test out and they were gone seemingly within seconds. They both loved them and trust me, they are a tough crowd! I had one myself and I have to agree with them. It was sweet without being too sweet and the texture was perfectly moist with a nice crunch from the walnuts. The pineapple gives it a nice, fresh citrus flavor without being over powering and the half wheat flour will make the muffin more filling without tasting like “health food”. This is a great versatile recipe – you could swap in different nuts or dried fruits to change up the flavor profile and maybe even play with what canned fruit you use. And you can eat it guilt free pretty much any time of the day. It’s perfect for a fast breakfast or a healthy afternoon snack for the kids – or you can “sneak” one at night and call it a super sensible dessert! The recipe makes about 16 muffins and each muffin has only 200 calories. Not bad! Check out the recipe at pillsbury.com! This bears repeating. Lemon ricotta waffles with poppy seeds. The best waffles I’ve ever made, according to my handsome husband. I’m inclined to agree. I’m not the mastermind behind these delicious waffles, but Joy and I do have the same waffle maker so clearly great minds think alike and all that. I have been striking out a bit with waffles lately, trying to take the easy way out with pre-made mixes (why bother when homemade is sooo good and really quite easy?). Actually in general it seems like the kitchen and I have been disagreeing a lot lately. Lots of band-aids and disappointed looking children and husband-folk. While I can’t say that I wasn’t injured during the making of these waffles (bloody knuckles and lemon zest, anyone? ), I can say that the injury was totally worth it and we WILL be making these again. And again. And again. Definitely try this recipe – and zest your lemons carefully! This year I decided to deviate from my normal 4th of July dessert (mini no bake cheesecakes) and try something new. I’d read this recipe for a Simple Chocolate Mousse @ Something Swanky that can be prepared in 5 minutes and I thought the 4th of July would be the perfect time to try it out. I had a box of instant chocolate pudding in the cupboard so all I needed was a tub of cool whip and 5 minutes to spare. Thursday afternoon I prepared the mousse, following Ashton’s advice on her blog. It was super easy to put together and, like Ashton, I was dreaming of all the combination possibilities immediately. I will definitely be using this versatile recipe again! As the evening wore on, I started thinking about that delicious chocolate mousse and how to make it even more decadent. I flipped through my cupboards and found a box of No Pudge Fudge brownie mix which only needs yogurt to mix and bake. I scanned the box and noticed they also had microwave instructions – like those cake in a mug recipes! This was perfect because I didn’t have enough yogurt to prepare the whole box. Bake in microwave on high for one minute, as recommended by the box. Check for doneness. Continued to bake in microwave for 20 additional seconds each until the brownie is done and a toothpick can come out cleanly. Mine took a little over 2 minutes to bake. Another five minutes later and I was adding my prepared mousse on top of my brownies and then topped the whole thing with a little whipped cream and fresh berries for good measure. The result? Was sinfully delicious and actually not a ton of calories all told. And it only took me about ten minutes total to put the whole thing together! I think this recipe could easily be converted and played around with – I bet you could try the mousse with a homemade pudding, too, and any cake or brownie recipe would be a prefect pairing (Ashton @ Simply Swanky had a lot of ideas, too). What’s your favorite So Easy It Should Be Impossible Recipe? Many moons ago I stumbled across this waffle recipe at The Pioneer Woman’s Tasty Kitchen. It’s by Matt who writes at Any Ideas for Dinner? And basically – the recipe was so rocking that we quickly decided to make it our regular waffle recipe. Then I started tweaking it and some of those tweaks became regular tweaks and now really my recipe and his recipe are only mostly the same. So I thought, maaaaybe I should share mine? This is probably one of my favorite recipes to cook. It has that rustic, perfect feel of creating something from nothing, uses nice smelling ingredients and tastes delicious according to everyone in the family – and how often does that happen? Cinnamon to taste, maybe nutmeg or pumpkin pie spice? Whisk the flours, baking powder and salt together in a medium bowl. Sprinkle in some cinnamon until it looks cinnamony enough. Mix and set aside. Pour the melted butter into a medium mixing bowl (a Pyrex measuring bowl works great because you can melt the butter in it to start.) Whisk the eggs, one at a time, until thoroughly beaten. CAUTION: Be sure the melted butter is not too hot, or you risk cooking the eggs. Pour in the milk and whisk until combined. Combine the dry mixture and the wet mixture, and stir to combine, but don’t over beat. Don’t worry about the lumps, they’ll cook out. Set aside for a few minutes to prep the waffle iron. The rest will let the baking powder start to do it’s thing and give you time to start cleaning up while the waffle iron preheats. Cook waffles according to your waffle maker’s specifications. I started adding the whole wheat flour by accident when I was making a batch of waffles and found myself a 1/2 cup short of the all purpose flour. But I found the flavor better and the waffles were a bit more filling. The kids didn’t notice the change and my husband also liked it better. Score one for mom! I started adding brown sugar mostly just ’cause. I thought it made the recipe feel fancier than just using granulated and sometimes it seems like I don’t get enough chances to use brown sugar, so … yeah. The cinnamon got added in because it smells pretty and adds a nice little extra flavor. Experiment with different good smelling spices, I’m thinking you can’t go wrong here. What’s your favorite recipe to cook? The one that makes you feel like you actually like being in your kitchen and being domestic-like? My husband has been eating a low carb diet for about a month now and was looking for a recipe for biscuits to eat with his eggs and bacon in the morning – something fairly low carb using an alternative flour. When he wasn’t able to find a recipe that he liked, he start tweaking the ones out there until he came up with something tasty and easy to prepare. This is the result of that experimentation, a low-carb and gluten free biscuit made with soy flour that tastes similar to a corn muffin. He grills it on the same cast iron pan that he cooks his eggs and bacon in, using a recycled metal can (it probably used to hold canned corn or black beans) to form the shape in the pan while it cooks. He made me some this weekend with breakfast and I liked it so much, I made him write down the recipe so I could share it with all of you! Like I said, we use a metal can as a ring, placed in a frying pan over medium heat. Pour half the batter into the ring & cover, flip the biscuit after a few minutes, and then cook on the other side. Though we haven’t tried baking, I’m guessing this would work well in a muffin tin also. With a little more flour, this may work well as a dough (for shaping biscuits, etc).